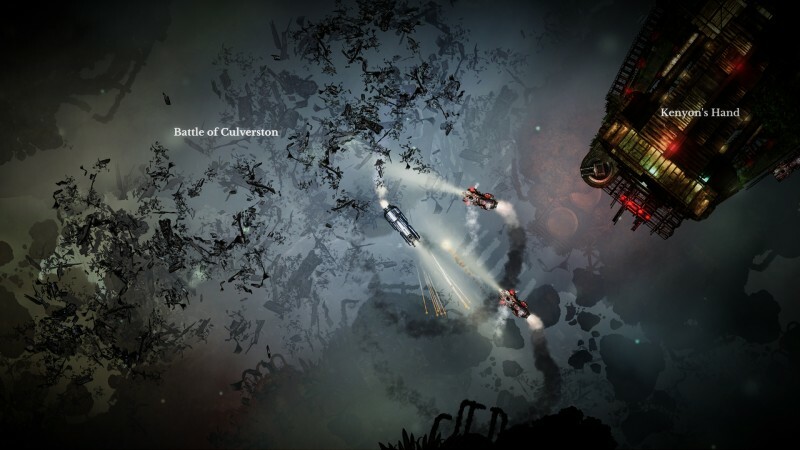 Sunless Skies is an awesome, immersive ride for lovers of imaginative fiction and horror-laden exploration. The melding of genres bears delicious and strange fruit as top-down action mixes with compelling vignette stories. You fly a steam locomotive from port to port, injecting yourself into dozens of tales with myriad outcomes. Though hindered slightly by combat and repetition, this mesmerizing tale begs to be experienced. 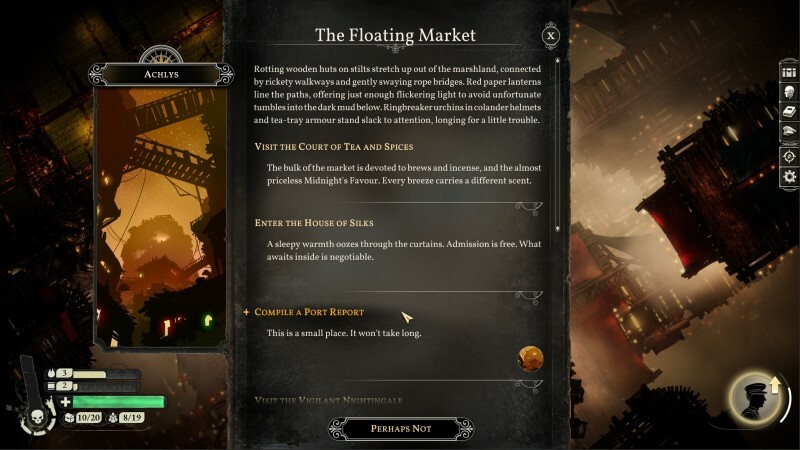 Sunless Skies is the successor to developer Failbetter Games’ Sunless Sea, though you can safely jump in here with no prior experience. After selecting your character and a win condition, you’re ready to take your locomotive on its first journeys of discovery in this world of weird fantasy and hypnagogic terrors. Death is part of the tale, and your legacy (and locomotive) is passed on from captain to captain. You retain some resources and experience from one game to the next, so you’re never starting over. Perhaps you meet your end almost immediately at the hands of merciless marauders or other sky-terrors. Maybe you run out of supplies on the outer rim, forced to resort to cannibalism until you’re completely and utterly spent, your wreck floating off as your mind snaps and the terror meter topples what’s left of your sanity. The constant threat of death keeps the tension high and forces you to make difficult decisions in what to prioritize, but the persistent development between captains maintains a satisfying sense of progress. Choices are around every corner, and your options grow as your investment in stat points unlocks new potential. These stat-based opportunity checks, like a chance to win favor from some nobles with your charm, or a shot at cracking open a frozen wreck’s door – give you a sense of growing power outside of gear and resources. Sometimes your choices echo throughout the world; consuming your crew might be an immediate solution to quell hunger, but your taste for flesh may come back to haunt you. Siding with one faction in a large-scale war opens doors for you in some ports and stories, but closes others where the declining faction may be forced to relocate or abandon critical areas. While these choices make a difference in the moment-to-moment individual tales, you never feel like you’re altering the world – you’re a mere speck in the endless stretch of sky. 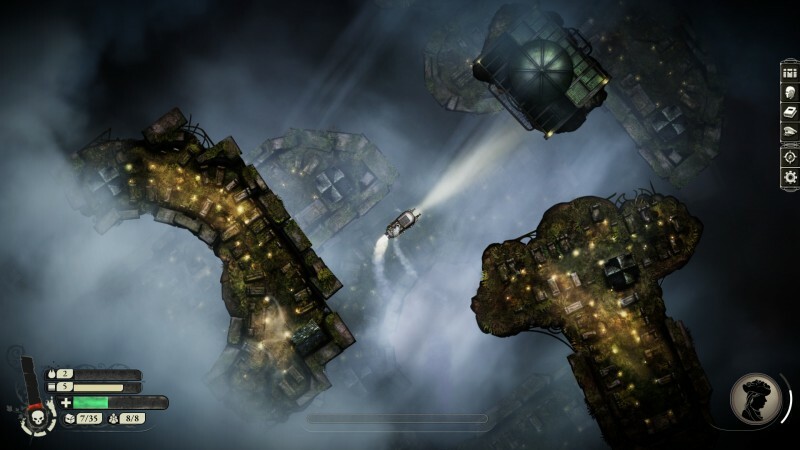 Creating captivating fiction in games can be a daunting task, yet Sunless Skies accomplishes this with an electrifying zeal. It is one of the most creative and interesting worlds I have ever had the pleasure of playing in. From facing unknown horrors lurking in the mist, trading barrels of time for favors, and attending a ball that never ends, the surreal universe leaves you wanting to uncover the hidden tales and mysteries that lie at every port. 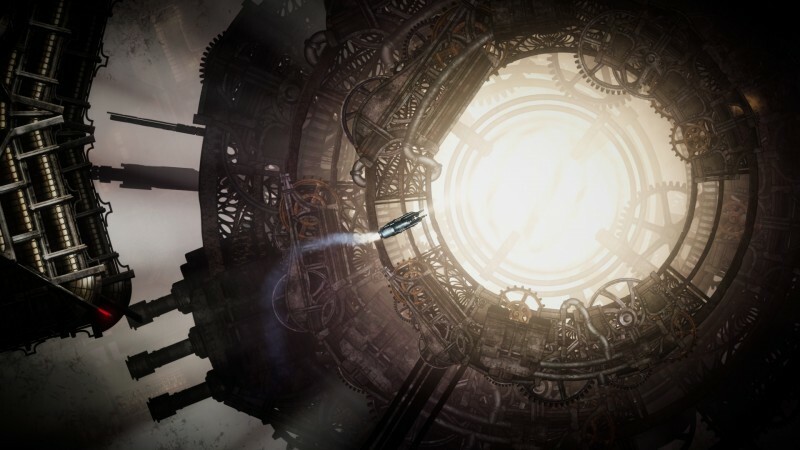 While Sunless Skies has an overarching narrative, the devil is in the details, with each port providing its own captivating tales. Bizarre and inspired, these romps through mushroom mysteries, grand bazaars, and grim mausoleums keep you going like a good book, braving the horrors of the skies to turn the next prolific page. The combat is a lackluster affair of swiveling about and aiming your weapons at enemies. It’s a threadbare system that lacks punch, but it effectively keeps the tension high as the weight of entering new areas with deadly airy monstrosities has you gritting your teeth and punching the boosters. You can lean into combat and harvest rewards from powerful monsters by purchasing combat-oriented ships and potent weapons, but I chose trading vessels that were better off avoiding combat in almost every situation and opting out of most battles. Playing in this fashion allowed me to avoid most of the dull cannon-firing and hull-boosting, instead focusing on additional cargo space and harvesting tools. To succeed in combat (and everything else), you need sovereigns. Cash can be hard to come by early on, and the easiest way to get them is by buying low and selling high from port to port through a questing system. This is a great way to spur you on to find new places and give you additional incentives to keep visiting ports. However, flying from port to port can become an especially repetitive chore as you attempt to work up a solid base of resources, and many quests also have you ferrying back and forth to the point where some of the awe of the world is lost in reiteration. 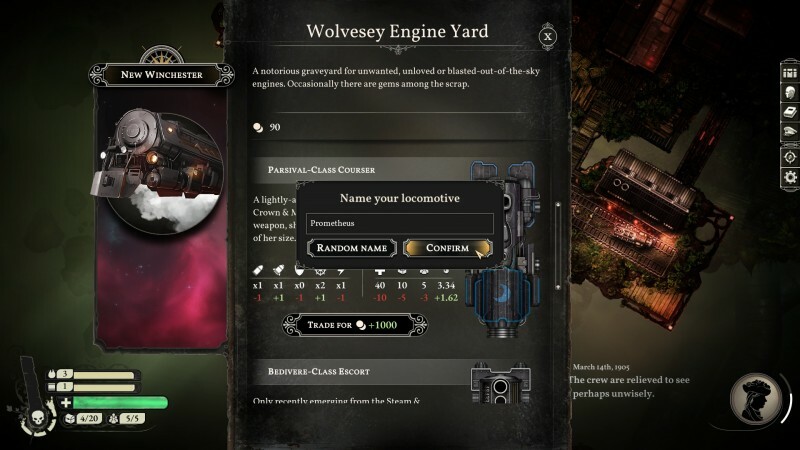 Sunless Skies is a strange amalgamation of genres with even stranger stories to tell, but the weird world and nightmarish encounters come together to create something special. Combat and repetition may weigh down the Homeric adventure, but the overall journey is well worth the ticket. 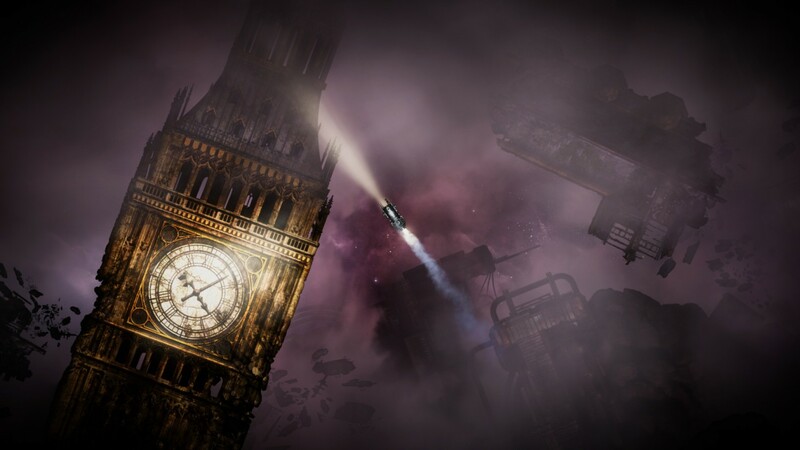 Sunless Skies is an awesome, immersive ride for lovers of imaginative fiction and horror-laden exploration.